The past weekend saw a myriad of twitter conversations which escalated from Stormi Webster on Friday to the humiliating defeat of Chelsea in the football arena yesterday. Kylie Jenner & Travis Scott’s little girl turned one this year and the party was all kinds of birthday goals! Stormi was given an ‘Astoworld’ themed party (From Travis’ album cover) where the entrance was endowed with an inflatable head of the 1-year-old. She was also graced with performances from Baby Shark and received world class gifts like a Chanel bag from musician French Montana. The internet gushed over the little girl’s luxurious life. Twitter was amazed by the ‘Eastside’ hit musician’s appearance on US show Saturday Night Live (SNL) where she painted while perfoming.She took to Twitter pointing out that it’s her “second favorite artistic medium”. Halsey was the guest host on the show where she also called out her ex G-Eazy for cheating on her being the main cause of their break up. Before this, no address was made of their parting ways. Sunday night saw the celebration and annual commemoration of the world biggest music event, the Grammys. The event saw misses and wins in equal measure as first timer Shawn Mendes lost both nominations for best pop vocal and song. The Grammys also saw first time winners such as ‘New Rules’ artist Dua Lipa who scooped her first two Grammys in the best new artiste and dance recording categories. Other winners included Drake, Lady Gaga and Childish Gambino. 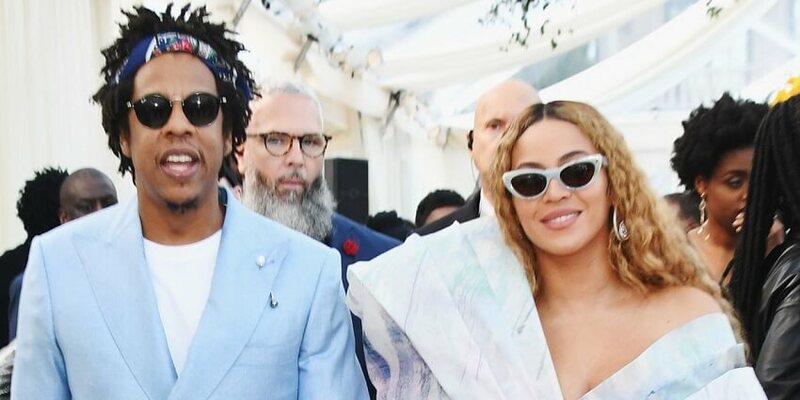 Roc Nation hosted its annual pre-Grammy party on Saturday with loads celebrity attendees but the internet was conspicuously focused on Queen Bey. She topped worldwide trends from her chic look at the event as she wore a colorful Balmain dress. Jay Z also dashed his way to the event in a light blue suit. Celebrities who attended the event included Greys Anatomy’s Ellen Pompeo, Grammy nominee Janelle Monáe and musician DJ Khaled. Just weeks after the #10YearChallenge worldwide trend, came #DropYourPartnerPics. The trend which premiered in South Africa had tweeps posting their love partners’ photos on the social platform inclusive how long they have been together. The trend quickly picked up through Africa into #20 at the worldwide trends. With this trend seemingly emerging in just less than a week to Valentines, the singles were wondering who they would post to call their own. Netflix has become one of the most popular entertainment streaming services in the world and this weekend was a reflection of that. Trending talkers took to Twitter to share what their most popular shows were on the platform. Chelsea fans were in hiding this weekend when they received a massive thrash from rivals Manchester City at Etihad Stadium. The 6-0 goal was recorded by City’s İlkay Gündoğan, Raheem Sterling and Sergio Agüero who scored 2 and 3 goals each respectively. Of course Arsenal and Manchester United would not let that slide easily and took to twitter with hilarious memes of the embarrassment suffered by Chelsea after their past trolls of the two teams. I changed my twitter password to "Chelsea's defence"